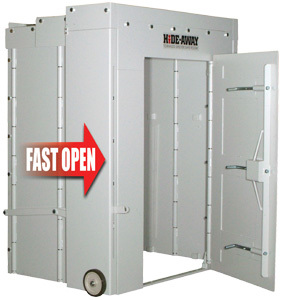 Baxter Residential Elevators is your Texas resource for the Hide-Away� storm shelter / saferoom. Contact us today to learn about this incredible product that can be fitted into existing homes and structures providing a safe place during storms or other trying times. The Hide-Away� is an innovative, space-saving storm/tornado shelter that can be folded to within 17 inches of a wall, when not in use, and quickly deployed, in just a few seconds, when the need arises. 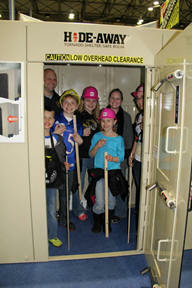 It provides a safe hiding place from storms, and will withstand up to an F-5 rated tornado. Various sizes are available to accommodate a different number of people in the home, business or school. Farm Credit has been around for more than 90 years, helping Americans find their place in the country. As a nationwide network of lending cooperatives, Farm Credit is the largest lender to rural America. This nationwide system is made up of four regions. Each region is hosted by a wholesale bank that provides funding to retail lenders serving the general public in that area. Click here to find a Farm Credit lender in your area or visit Farm Credit�s web site for more information. *All offers are subject to credit union approval and restricted to qualified homeowners residing in Oklahoma or Kansas.